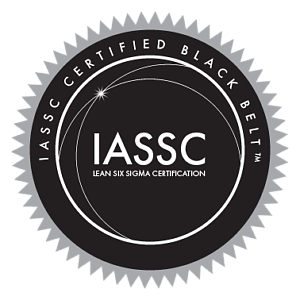 The 8-day IASSC Certified Lean Six Sigma Black Belt course is designed for a professional who has had no previous Lean Six Sigma training and requires an in depth understanding of the Lean Six Sigma Methodology. The exam is a 4 hour 150 question proctored exam. 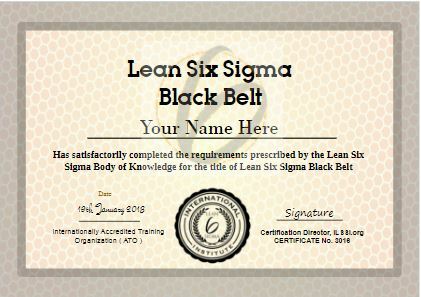 The Lean Six Sigma Black Belt 8-day training course provides the detailed understanding of the methodologies, tools and techniques of Lean and Six Sigma necessary for leading teams and coaching and mentoring other employees for reduction in costs, cycle-times, improved quality, and elimination of waste. The student will complete the course with the tools and understanding of Lean Six Sigma methodology necessary to make both tactical and strategic decisions and consider the impacts of projects and changes at both an operational and an enterprise level. Students are expected to have a basic knowledge and understanding of mathematics ( GCSE level or equivalent ) and have worked in project teams in a work or educational environment. 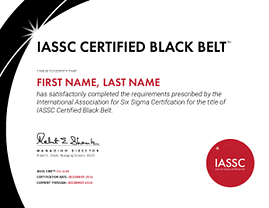 It is not required that students hold a certificate in Six Sigma Green or Yellow Belt prior to taking this 8-day Black Belt course. 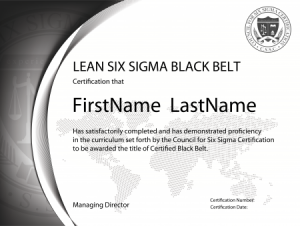 Those students already with Six Sigma Green Belt training are advised to sign-up for the 5-day Black Belt course instead of the 8-day course. A PC (Windows 7 or higher ) laptop is required for this class. Check for the minimum system requirements here. Either Rent or Download a free 30 day trial copy of either Minitab 18 or Minitab Express prior to attending the class. Minitab 18 is prefered if you have a Windows Laptop ( download Free Trial of Minitab 18 here ) however Minitab Express is also sufficient if you use Apple laptop ( download Free Trail of Minitab Express here ).